Renal Transplantation is the treatment of first choice for end stage Kidney disease patients,Who are on dialysis. Renal transplantation is the treatment of choice for end stage kidney disease. This is a type of transplant where a near relative of the patient donates one kidney to the patient. For persons those who does not have a suitable living donor, this is the option. According to waiting list kidneys from brain death victims are transplanted in to suitable kidney failure patients. 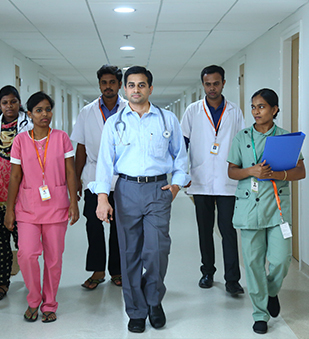 A successful kidney transplant program is only possible if all the departments of the hospital has latest diagnostic and therapeutic facilities. Truly in Royal Care these facilities including laboratory, radiology and others matches international standards. Infection is one of the biggest menaces of transplant patients as their immunity is suppressed due to drugs. We at Royal Care have zero tolerance to infection. We are the first hospital in western Tamilnadu to obtain NABH SAFE – I certification for infection control.